Course for using pictures to recount the dreams and desires conjured up by food, lavish tables, scenes of preparation, tasting, games and make-believe. We will start with a rhyme (own choice) and then explore the useful grammar for the creation of an illustrated book on the theme. Lots of drawing and learning to organise ideas and pictures. We will experiment with mixed media to find our own style. The best illustrations will be selected for the 33rd edition of Le immagini della fantasia. Eva has always been interested in the world of books and publishes in a number of countries as author and illustrator. In Italy she also creates drawings for calendars, magazines, book covers and posters. She is fascinated by the extraordinary ability of reading to serve as a means of transportation to another world and by the magic conjured up by text interwoven with the illustrations, and conceives her illustrated books on this basis. Creating entire universes between the pages from the imagination is her passion. 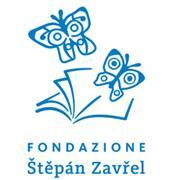 For more information: Fondazione Mostra Internazionale d'lllustrazione per l'Infanzia "S. Zavrel"